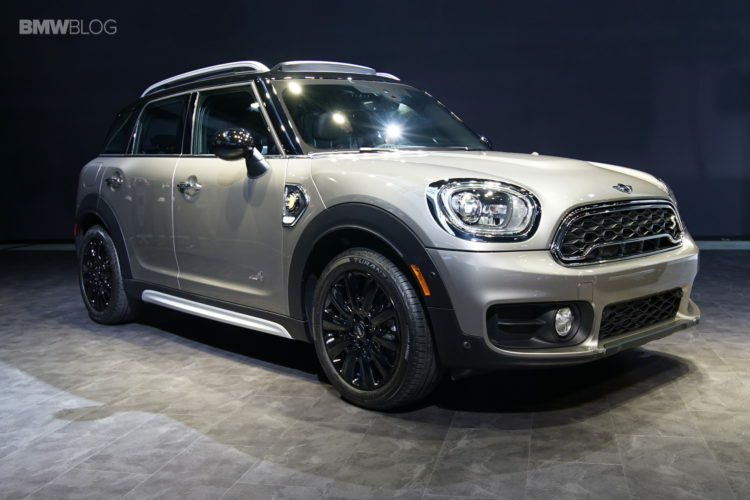 Recently unveiled in front of a live audience for the first time in Los Angeles, the 2017 MINI Countryman Cooper S E Hybrid is definitely writing a new chapter in the history books of the British brand. The new model brings out so many novelties, it will take some time to get everyone up to par with what makes it special. And the Cooper S E plug-in hybrid model definitely has plenty of aces up its sleeve. In order to help out, MINI launched a couple of videos online highlighting everything that’s new about the 2017 Countryman. However, there’s no denying that everyone’s mostly interested in the new plug-in hybrid that has a drivetrain similar to the one used on the iconic BMW i8. Of course, the level of performance is different, but the car does have a 1.5-liter 3-cylinder up front feeding the front axle and an electric motor dealing with the rear one which is basically a mirrored layout. We should point out though that the internal combustion engine isn’t a twin-turbo unit, as the presenter in the video suggests. This is a common misconception for which the BMW Group even faced legal actions at some point, people claiming that the TwinPower term seems to suggest engines have two turbochargers instead of just one. Leaving that aside, the two motors deliver up to 221 HP and 284 lb-ft of torque which is more than enough for any purpose inside the new SUV, despite its obvious increase in size. Cruising around town in electric mode can be done for up to 40 km, according to MINI, which in the real world will probably translate to closer to 30 km or 20 miles. Even so, the fact that you can cover your daily commute without burning fuel should be taken into consideration. Now let’s check out more details about the new PHEV in the video attached below.